Magnetized through 1/2 inch diameter. 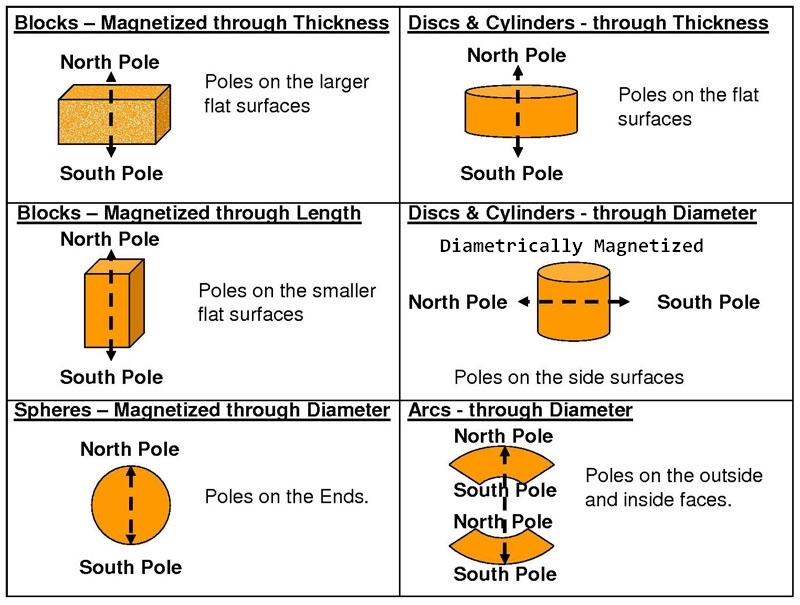 Poles on the round surfaces.Neodymium Magnets are the strongest permanent magnets. All magnets are not created equal! Applied Magnets offers the highest quality magnets with consistent performance. These strong magnets are designed & manufactured to meet stringent quality standards using the latest technology. Diametrically Magnetized, magnetized through 1/2 inch diameter. Poles on the round surfaces.